Currently 633 visitors online at SuggestADoctor.com. Is this Review about Mark David STREHLOW helpful to you? I saw Dr Gregg L Friedman MD a psychiatrist for my anxiety attacks and I think he is the best because he don't judge you. He listens to me and God bless him. Awesome physician, great care, excellent post surgical result. Very high recommendation. Is this Review about Kevin ELLIOTT helpful to you? Dr. Hutson is my gynecologist and she performed my hysterectomy. Dr. Hutson is kind and I truly felt like she listened to every concern and comment I made. I never feel rushed during appointments. She was very comforting before and after my hysterectomy, even sharing her personal experience to help aid in my recovery. She is trustworthy and I feel completely comfortable under her care. The office is beautifully decorated (you may question whether you’re in a doctor’s office and not at the spa). The exam rooms are similarly decorated. The office staff and nursing staff are welcoming. Karen Wood (nurse practitioner) performed a uterine biopsy on me in the office. That particular procedure was painful, but Karen and the other nurse in the room were comforting and kind. Is this Review about Elizabeth Ann HUTSON helpful to you? Dr. Fisch performed my laparoscopic hysterectomy. He was comforting, friendly, trustworthy, experienced, diligent, and thorough. He explained all of my options and ensured that I understood what he would be doing during the surgery. Is this Review about John Morrison FISCH helpful to you? Dr.Dias is a wonderful Doctor. He's extremely thorough. He specializes in breast surgery, however, he also does hysterectomies and other surgeries. He's very comforting. He was willing to work with me even though I have no medical insurance. Quite frankly, he's one of the best Drs I've ever seen. He really cares about his patients and it shows! He's been treating me for my large uterine fibroid. He'll also be doing my hysterectomy. Is this Review about Eduardo DIAS helpful to you? This is an amazing lady! Dr. McIntosh performed my partial hysterectomy via Divinci. Her bedside manner is awesome and she made the decision so much easier for me. She really takes time to answer any questions, explain , and perform procedures! I'd recommend anyone to consult with her and get on the road to recovery with Dr. McIntosh! Is this Review about Lashauna Bryant MCINTOSH helpful to you? I had the SLT laser procedure done on both eyes. The procedure itself is painless and very easy. There is some discomfort later in the day but everything was back to normal the next morning. It would be nice if staff would introduce themselves when meeting a patient for the first time. I would like to know who I am working with. Is this Review about Mary AHLUWALIA helpful to you? Is this Review about Hamnah SIDDIQUI helpful to you? I would like to recommend Dr. Lennox Hoyte. He performed my hysterectomy with anterior and posterior repair. He is extremely knowledgeable in urogynecology. Dr Hoyte has trained many Physicians on robotic surgery. But most important of all he is an exceptional surgeon who really cares about his patients. His staff is also very knowledgeable and very caring. All it takes is reading his reviews and his experience in repairing many kind of gynecological problems including mesh complications and you will know you're in the right hands. Is this Review about Lennox HOYTE helpful to you? Very accurately diagnosed my condition and the two surgical procedures I believe have corrected my condition. I appreciate the time he took to explain what was wrong and what procedure would correct it. I had a great experience. My surgery went great and I feel great. I am 4 weeks out and I can actually walk without my feet going totally numb. If I every needed any additional surgery in the back area or general area I would definitely come by to Dr. Jefferies. I have been a patient of Dr.McNally's for nearly 3 years and from the first time I met her I knew I'd found a treasure. She's extremely friendly and down to earth, and makes me feel as if I am talking with a friend or family member. She's never come across as rushed or made me feel that any of my numerous questions have been unimportant or silly. Unlike other doctors I've seen, I've never felt as if I'm just another statistic to her. I drive nearly two hours each way for every appointment I have with her. These have consisted of consults, check-ups, minor procedures, and I will soon be undergoing a major surgery under her hands. Even in the face of unsettling diagnosis, her knowledge and presence is comforting and I am completely confident in her ability. Is this Review about Amy MCNALLY helpful to you? I learned of Dr. MOSBRUCKER after reading about Dr.Redwine. Then I joined Nancy's Nook on Facebook. I read all the files and the surgeon list. I saw she was close to me and she was one of the few surgeons who perform excision. That made sense to me. I waited 4 months and drove for 14 hours to see her. After our visit I knew had made a terrific discision. She is well practiced, skilled, and so caring. I have to wait 4 more months for surgery. I have Endo/Adeno and will have 1 ovary removed and a hysterectomy. I am not worried about the outcome of my surgery because I KNOW she will do whatever is best for me. This is big because I have devolved an immense fear of all doctors due to my 27 years of being ignored by them. I have done my research and am 100% sure this is the absolute best plan for me. I will be paying for this out of pocket because affordable insurance is out of my reach. Is this Review about Cindy MOSBRUCKER helpful to you? Dr. Overbeck listened to all of my concerns and helped me reach my understand the treatment plan with compassion. He ensured I was well taken care of for my pre-operative care as well as post-operative. He's a seasoned doctor and has an amazing staff he works with. 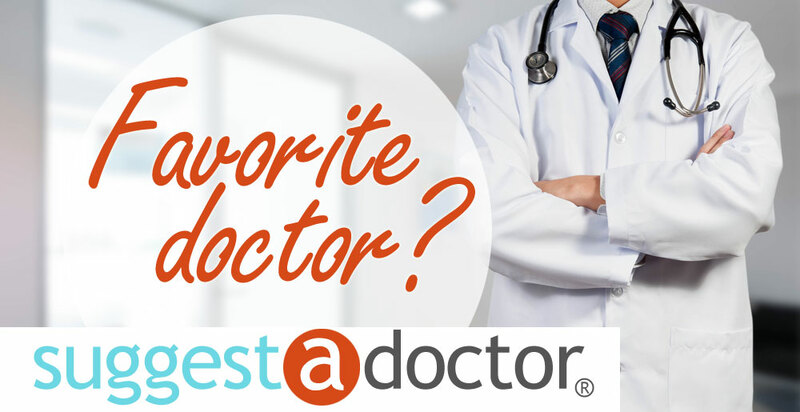 Dr. Overbeck did my LAVH, and even though I had to because of adeocarcinoma, he was very patient and caring toward the hysterectomy process and outcome. The only thing he could do better would be to make the surgery painless, which no one can do. He did a great job of making sure I don't have too much pain. I would recommend him to anyone in the Portland area that has Kaiser insurance. Is this Review about Kevin Scott OVERBECK helpful to you? Dr. Karp is a very caring and skilled doctor. I am so glad that I was referred to her for my pelvic prolapse problems. I feel very at ease with her and in her office. I highly recommend her! Is this Review about Deborah KARP helpful to you? Very nice doctor straight to the point. I have had endometriosis for most of my adult life, was misdiagnosed in Undergrad and even in Graduate school. I lost an ovary due to this. When I met Dr. Sinervo he has worked so hard on my behalf to preserve my reproductive tract, as I still wanted to conceive. He has performed a few surgeries on me under his care due to endo, fibroids, polyps and adenomyosis. I can not begin to thank him for taking the time to explain what we are doing and why. He is the best surgeon for endometriosis and I pray for him everyday. He is the nicest, most humble surgeon I ever met. You will be in great hands with him. I only wish I found him firs,t so many years ago. Been under his care since 2013 to present. We just had my last surgery on 8/24/17. And because of him I am no longer anemic, weak and I am regaining my health and happiness everyday.